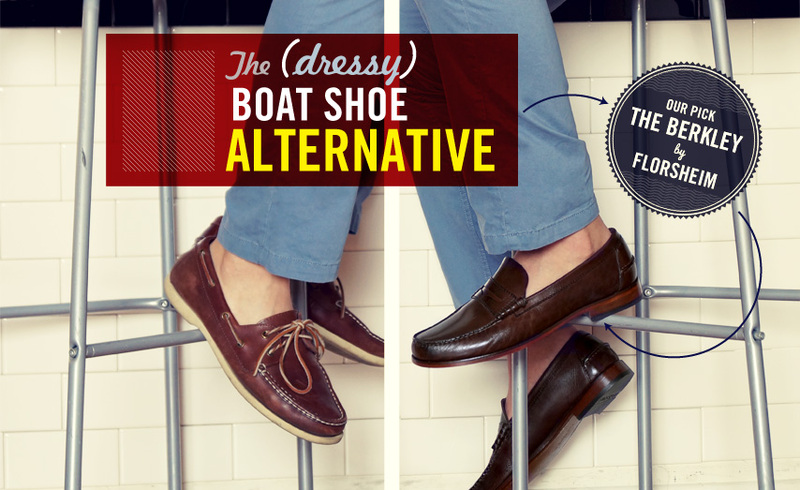 Don't get me wrong – the boat shoe is an awesome first choice in upgrading your casual footwear for the summer months. It looks great with shorts, chinos, jeans, basically anything you throw at it. And while it is certainly dressier than what you used to wear with those items, mainly flip flops or sneakers, they are still definitely for casual-wear only. You could never wear them in any environment above casual khakis. So what's the next level up? Loafers. 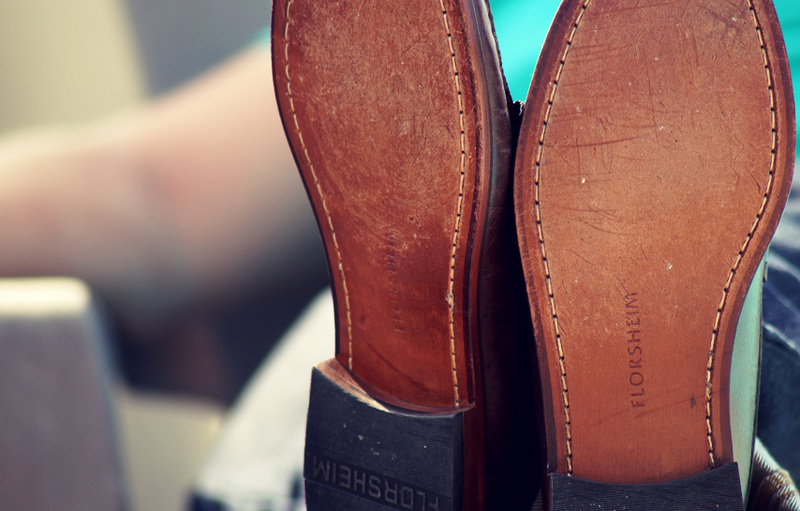 You may look at them and think that they're dress shoes – which they can be – but it's all in what you pair them with. A rich, low-profile pair of loafers, like these featured Florsheim Berkleys ($100) are a sleek warm weather option for anytime you want to be a little more up-town instead of boardwalk. Click on the tabs below to see the different ways they can be worn. 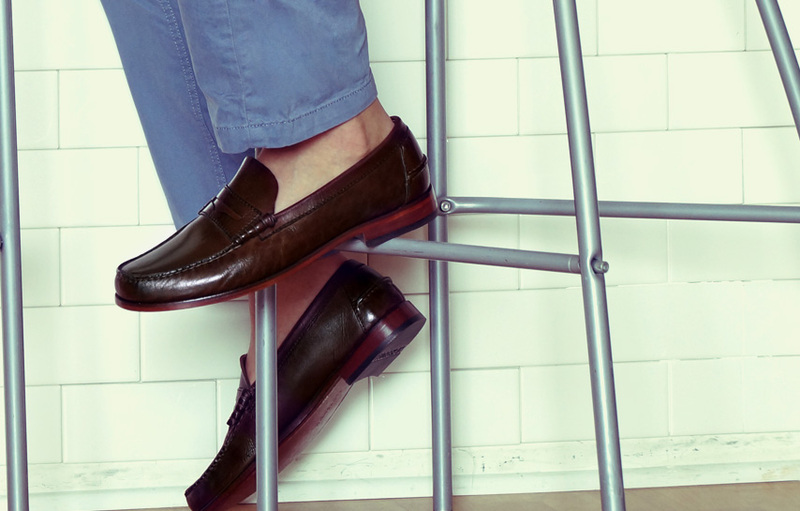 Slip on a pair of loafers with dark, slim-straight jeans just as you would with brown bluchers. The key to the look is the trim leg with minimal break, otherwise the low profile of the shoes won't be in proportion. 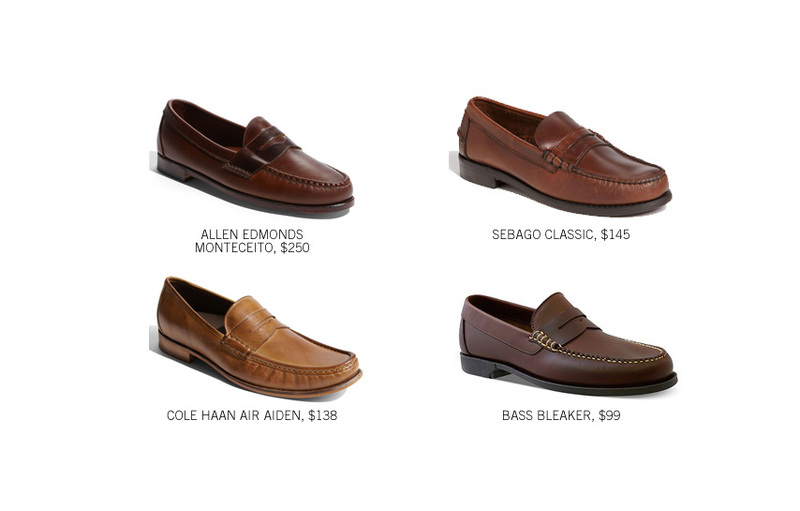 Just like with a boat shoe, loafers look right at home with chinos or khakis. As with jeans, it's important that the pants have a tailored fit. 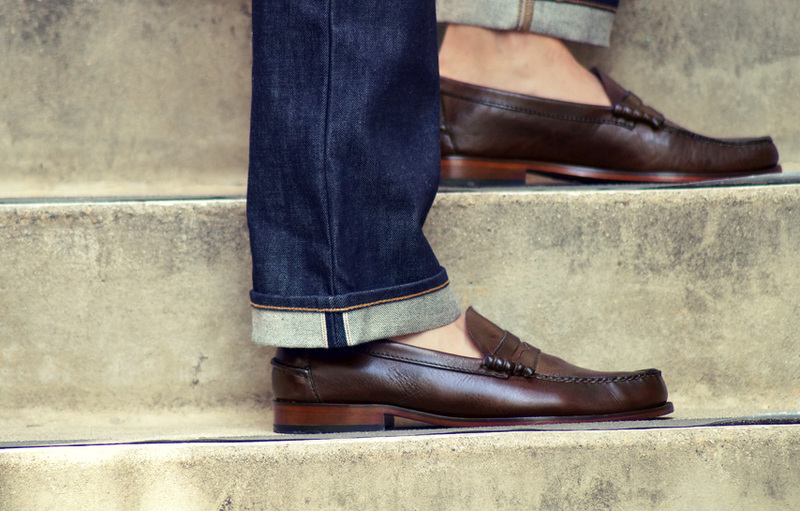 Cuff a pair of slim selvedge jeans and go sockless for a classic look that works just as well with a t-shirt as an oxford or polo. Mix it up for the office. Unlike boat shoes, the right loafers look great with a navy or gray suit. Upgrade from the chunky rubber soles of cheaper shoes to leather. Be careful of the Montecito. It’s a gorgeous shoe, but will show far more sock/foot/ankle. I live in Texas, so the biggest factor in a summer shoe is that it looks great with shorts. Like the concept, especially with those blue chinos, but I’ll stick with the boat shoe. Which color is this in the photos? It’s the brown crazy horse color. Andrew–know this was posted a while back, but interested to see how these shoes have held up. Can you speak to the quality? Yep, still looking great! I love mine. I don’t wear them everyday but I believe they’ve held up nicely. Thanks Andrew. Appreciate the feedback. You do a great job on the site! how do you keep your feet form stinking in these shoes? Same with boat shoes, baby powder or foot spray. 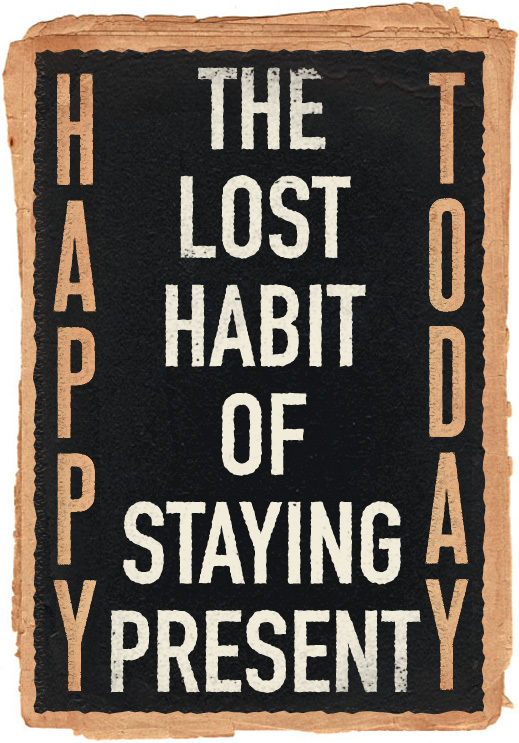 Also, don’t wear them every day. Odor Eaters insoles and foot spray! It’s worked great for me. what about the traditional cordovan color? No mention of Bass Weejuns? 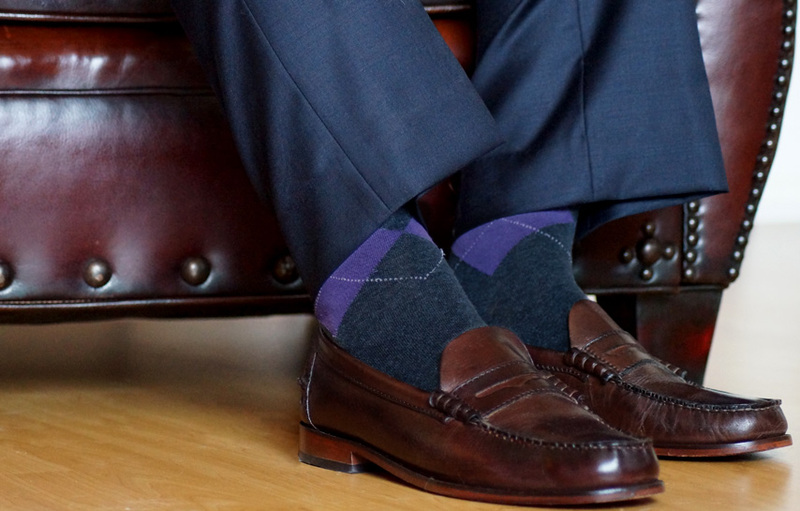 Still now socks with the loafers? Also, I created that RAF pilot picture two days ago and it is hanging in my bedroom. Where can I submit the photo? Nice! You should be able to upload it in the comments on the article. Let me know if you have trouble, I’d love to see it! Yeah, why did it 5 years ago suddenly become uncool to wear socks? Underpants next? Ok to wear with shorts or no Andrew? Wearing them with shorts right now 😉 same color as the chinos above with a white polo. Hey Andrew, how do you find your’s take a shine? Mine don’t seem to hold it the greatest. Are you using a specialized product? Cheers! How do the Berkeley’s fit in comparison to sperrys? Also, love the site! I think these fit better than the sperrys that I own. They are more snug over the entire shoe compared to sperrys that may have some areas looser than others. 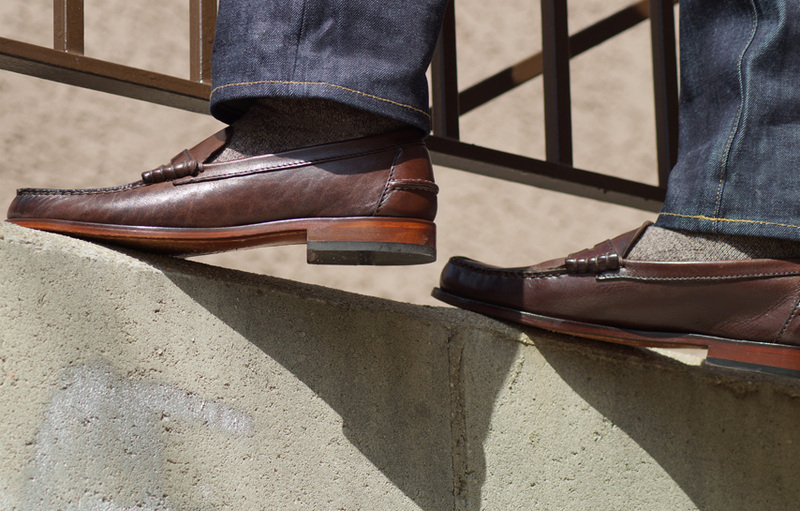 Curious what product you used to shine your loafers?